Technically when we use the term “DAW,” short for digital audio workstation, we’re referring to the various components of a studio that allow us to make digital recordings. The computer, audio interface, recording software, and other devices all make up the DAW. In many cases, the abbreviation is used interchangeably to refer to recording software only, such as Pro Tools. Before investing in a complete DAW, it may be helpful to experiment with free or inexpensive recording software. Most major DAWs aren’t cheap, and if you realize the world of home audio production isn’t your cup of tea, you’re potentially stuck with $600 worth of useless software. This, of course, doesn’t have to be the case! Right off the bat, if you own an Apple computer or mobile device, you also own Garageband. For $0, it’s a surprisingly capable DAW (that is, if you already own an Apple computer!). A stripped-down version of the professional DAW Logic Pro X ($199), Garageband is the perfect place to tinker with tracking, MIDI, and mixing before taking the plunge with weightier software. Its intuitive design makes it easy for beginners to jump in and test the waters, though it certainly isn’t the only option out there! A Windows 10 Audacity session. Photo courtesy of Audacity. If, after the 60-day trial you find Reaper suitable for your needs, a discounted license is available for just $60. 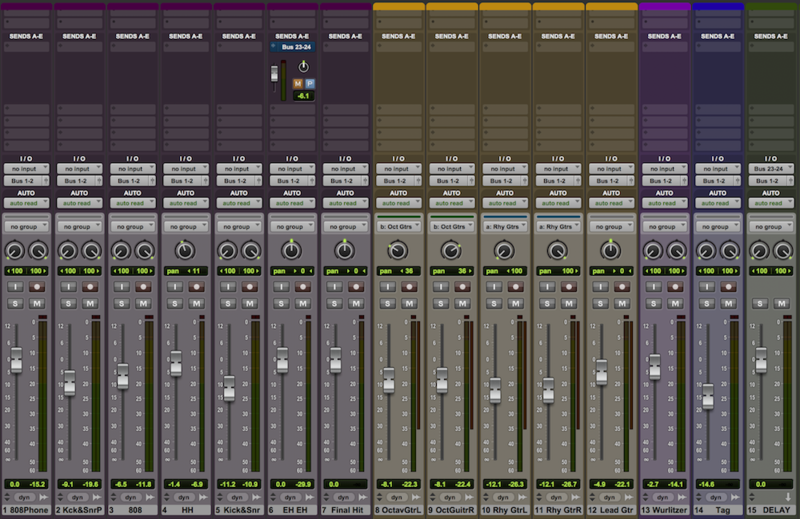 For reference, that’s 1/10th the cost of Pro Tools and about a quarter the cost of Logic Pro X. Recording software doesn’t have to break the bank; at least not if you don’t want it to! If you intend to track audio, you’ll need to first purchase an audio interface. An interface provides I/O for your DAW, allowing you to connect microphones or record with instruments directly. Fortunately, many interfaces also come packaged with “lite” versions of major DAWs so you can get up and recording with a single purchase. The massively popular Scarlett 2i2, for example, is bundled with Pro Tools First and Ableton Live Lite. For right around $150, you’ll have both an interface and the software required to produce music. Again, this a very affordable way to start your home studio, considering the full version of Pro Tools is $599–$449 for Ableton Live 10. You’ll also have access to two different workflows with each DAW. While Ableton is popular amongst electronic music producers, Pro Tools is the gold standard for multitrack recording, mixing, and editing. Likewise, the Audient iD4 is a perfect “starter” audio interface bundled with recording software. Cubase LE is a slimmer version of the Steinberg’s popular Cubase Pro 9.5, considered by many to be one the most complete DAWs on the market. LE can give you a completely functional sense of what the software is all about, without the $559 price tag. If you’re so inclined, Steinberg does offer a 30-day trial of Cubase Pro, too! Now, if you already own an interface, you can still try the aforementioned Pro Tools First, Ableton Live Lite, or Cubase LE completely free. When you’re first starting out, though, you’ll likely find yourself hunting down an affordable interface, in which case the bundled software is convenient! If you’re an Apple user, you absolutely can’t go wrong with Logic Pro X for $199. Far from free, but also far from the $500+ price tags on competitors, Logic is undoubtedly “all the power you need in production. All the creativity you want in music.” With a host of stock virtual instruments and fantastic plugins, you can quite literally do it all–at a fraction of the cost of others. A Logic Pro X session. PreSonus Studio One 3.2 Artist is another excellent choice in the “inexpensive” category. At just $99.95, it offers a complete DAW experience, and isn’t limited to strictly OS X operating systems. Sharing in Logic Pro X’s intuitiveness, Studio One keeps the artist in mind; not everyone wants to be an engineer, after all! From set up, dialing in sounds, recording, and sonic experimentation to mixing and online delivery, Studio One 3 Artist keeps you inspired and focused on your music. Built by and for creative people, Studio One 3 Artist’s flow-oriented, drag-and-drop interface; ease of use; and superb sound quality make recording and mixing fast and fun. For further consideration is Cakewalk’s SONAR Artist software. Touting itself as the most “feature-packed” DAW in its price range, SONAR Artist notably contains video support and a 64-bit audio mix engine. The Artist package is additionally bundled with 19 plugins and 11 virtual instruments, as well as SONAR’s own amp simulator (guitarists rejoice!). There are other versions available at both higher and lower price points, but SONAR Artist strikes a nice balance of affordability and power. Also, Reaper may fall into this category, but at just $60 after a free 60 days, it’s practically free! Why wait to start your music production journey? It’s 2018, and free or cheap recording software is readily available from a variety of companies! A previous version of this article included Cakewalk SONAR as an inexpensive DAW. A recent development shows that SONAR will be relaunched by BandLab as free software in the coming weeks. “Cakewalk by BandLab” SONAR is currently in an “early access” period for Windows users, with a full release coming soon.